The perfect accompaniment for any dessert that goes with almonds; Think pastries, apples, or autumnal stoned fruits. So simple, you’ll question why you’ve not made custard before! 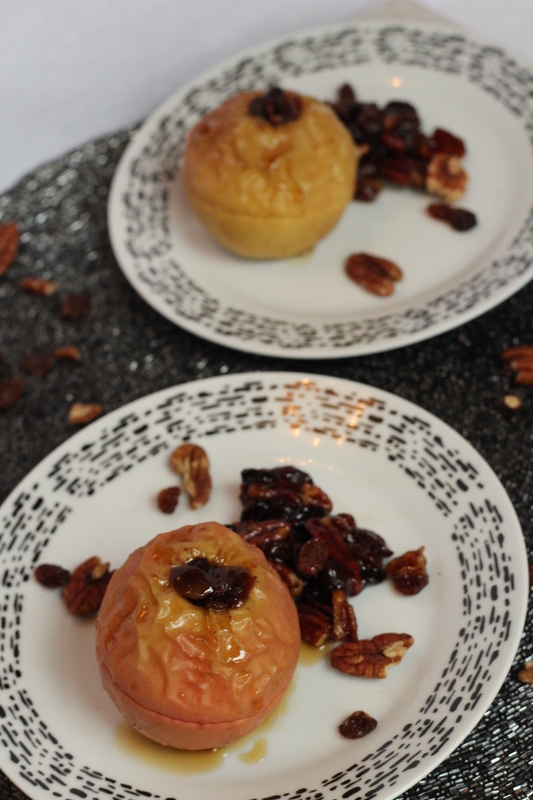 This custard was made to go alongside this Apple & Frangipane Gallette, but honestly would be perfect with many, many desserts! Custard is a wonderfully simple thing to make, but this knowledge makes it ever so slightly dangerous…. you end up in a situation where custard is literally at your fingertips all the time! A delicious, no-comprise allergy friendly bake free from dairy, gluten and wheat. This different texture cake is made with polenta and ground almonds, which really does make an impressive replacement to wheat flour, with the added benefit of tones of flavour. Full of orange zest and topped with crushed pistachios, this is a wonderful light cake perfect for the welcoming the warmer weather. So, custard season is over! I hear a bit of a sigh of relief all around 🙂 This week, we’re onto something far less risky, although something people will equally question. This is a fantastic, very different, cake recipe, that just happens to be dairy, gluten and wheat free. The texture is incredible; slightly crunchy from the polenta, lighter than you would expect given that it is full of ground almonds, and of course it is packed full of zesty orange flavour. This cake would be perfect served for afternoon tea or as a dessert (tell you the truth… we ate it for both!). If I’m honest, I would really have liked a little dollop of creme fresh on the side… but ok… you can’t have everything! If you are not dairy free though, I really would give that a try – it complements both the flavour and the texture perfectly. If you are dairy free, do like me and have a small scoop of ice cream. Sounds weird, but trust me it works. I also thought this cake was perfect for this season, for some reason it made me feel so summery – perhaps because of all the pretty bright colours on top – but also the zesty orange hit really made me feel like I was on holiday. This cake is incredibly simple to make; pretty much a one bowl mix, pour and bake recipe. I’ve added some chopped pistachios and extra zest on top – it is definitely worth the extra minute of effort. The pistachios are a lovely little pop of nutty sweetness and cut through some of the zest-iness of the cake flavour. What on earth is a meringue cake?! Keeping all the best features of meringue, but add in a dark, sticky, hazelnut-y chewiness, lightened by a sweet creme patissiere filling, with refreshing thin orange slices scattered through the middle, and you sort of get the jist… As an added bonus, this dessert is gluten, wheat and dairy free! This is not a pretty dessert. Despite its fluffy and delicate appearance, it deserves to be smashed to pieces with a fork and gobbled up in seconds. Or at least – that was how we did it! The few lucky ones who got to taste test this recipe quoted it was their favourite bake of mine ever – and coming from them, that’s something! This is especially surprising as this recipe really came about in a funny way; driven by the desire to use up 4 egg whites and half a carton of hazelnut milk, I began really having to search hard for a recipe. Turns out that recipes do not often combine egg whites and milk, but then the wonders of the hazelnut meringue cake came back to me. I think this was something I first saw on bake off – and I loved the idea of turning a meringue into something other than a sweet, crispy treat. Although this still retains those things we love about a good meringue, it is also darker, slightly heavier and more chewy – and therefore ever so slightly more like a cake- because it is packed full of very finely chopped hazelnut pieces. I have filled the meringue cake with creme patissiere – which is a fancy name for a custard thickened with cornflour. So, as we’ve been practising our custard over the last few weeks, it will be an absolute doddle (which I can promise it will be…as it’s actually easier and much harder to get wrong than custard – the cornflour stops the eggs curdling, so unless you burn it, you’ll be hard pressed to ruin it!)! Lastly, buy the best oranges you can and very very thinly slice the segments. By layering these onto the creme pat, before sandwiching the second meringue on top, you’ve created a light, refreshing, fruity cleanser that balances the sweetness of the rest of the dessert. It’s this secret which will keep you coming back for more until it’s all gone in one sitting! Thick, creamy, hazelnut custard. The perfect accompaniment to any chocolate dessert, or simply poured over ice cream. Ok, so before I gave up dairy, making custard from scratch seemed like a completely pointless exercise. Why make it when it’s so readily available, in all it’s thick, vanilla-y, custard-y goodness?? And then I realised how much I had taken this for granted when suddenly these options were gone! It’s not that you can’t buy dairy free custard – you can, it’s quite good and I eat a lot of it, but sometimes it just doesn’t go with everything. Custard is also a wonderful ‘base’ ingredient that has lots of different uses (ice cream, creme patisserie, the list goes on…), and the dairy free shop bought stuff just doesn’t always cut it. I started by trying to make a good vanilla custard, however I have to admit that this recipe is still in development – soy is a strong flavour to try and cover up! But it was in the midst of these failed custards that I found hazelnut custard… Here, there’s no covering up; this is all about letting the hazelnut flavour shine. The next few week’s recipes will focus on using this hazelnut custard in a different ways; there’s an ice cream coming up that is a particular highlight. So use this week to get perfecting your custard. It’s really not difficult to make at all, and a great excuse to have a few sneaky puddings – try it warm, poured over these classic brownies to start with. 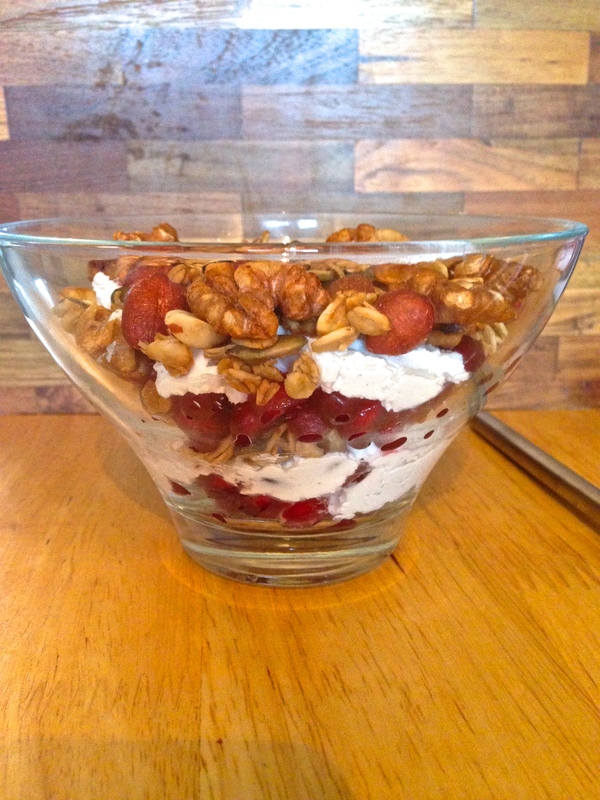 A delicious, healthy, low sugar dessert perfect for using whatever you have around the house. 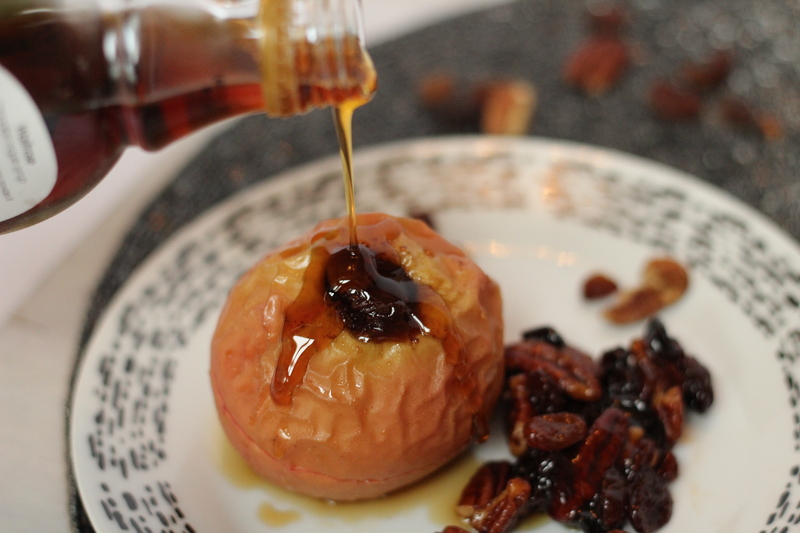 Stuffed with pecans, sultanas and cinnamon, the maple syrup and butter filling turns into a beautiful caramel sauce. 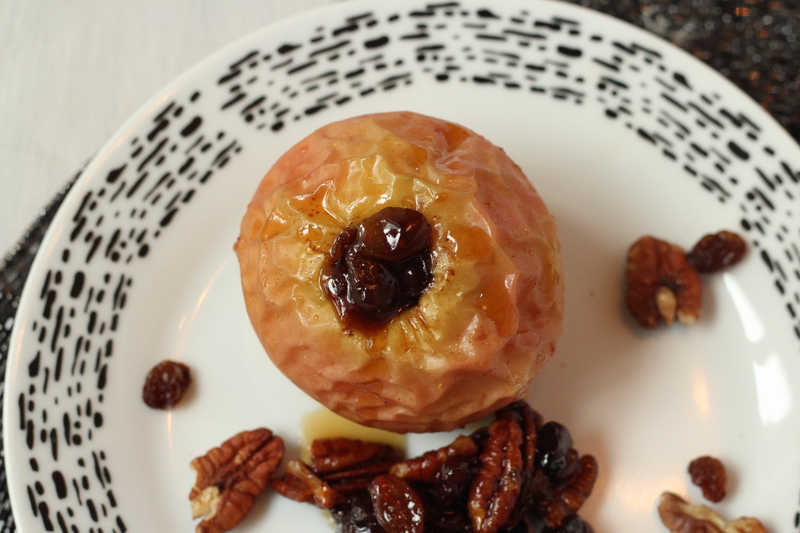 The third and last of my healthy baking series are these simple baked apples. This is one of my favourite desserts all year round as it is so quick and involves things that I pretty much always have around the house. Plus, it is genuinely healthy (as far as you can have a healthy dessert of course!) because they are low in sugar and count as 1 of your 5 a day! I use maple syrup as the sugar in this recipe; you could use any sugar, but I personally love the flavour of maple syrup. Nothing compares in my book! Plus, as an unrefined sugar, it is marginally better for you that using refined white caster sugar… but let’s be honest – the choice should be all about the flavour (especially if it’s got base!). 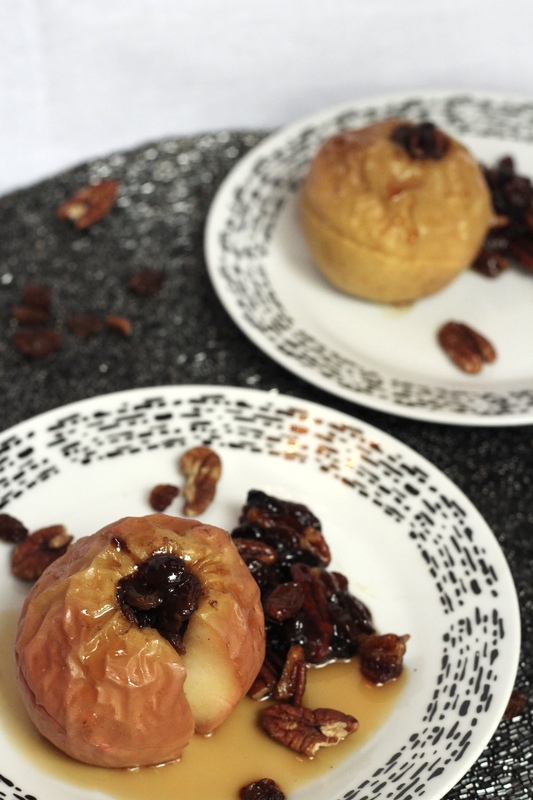 As the recipe also uses sultanas (you could use any dried fruit really) and a sweet eating apple, you don’t need to add much maple syrup at all. The dessert is already quite sweet on it’s own, making it a perfect weekday evening treat. If that doesn’t tempt you enough, then let me tell you that honestly the hardest bit of this dessert is cutting the centre out of the apples, which can be done with a small sharp knife or an apple corer if you’re lazy, like me. That really is as hard as it gets! Once this is done, all that is left is mixing the remaining ingredients and stuffing the centre, and then baking. Easy! My recipe uses sultanas, pecans and cinnamon – which is just perfect at this time of year when the warming spices infiltrate your house as the apples bake. 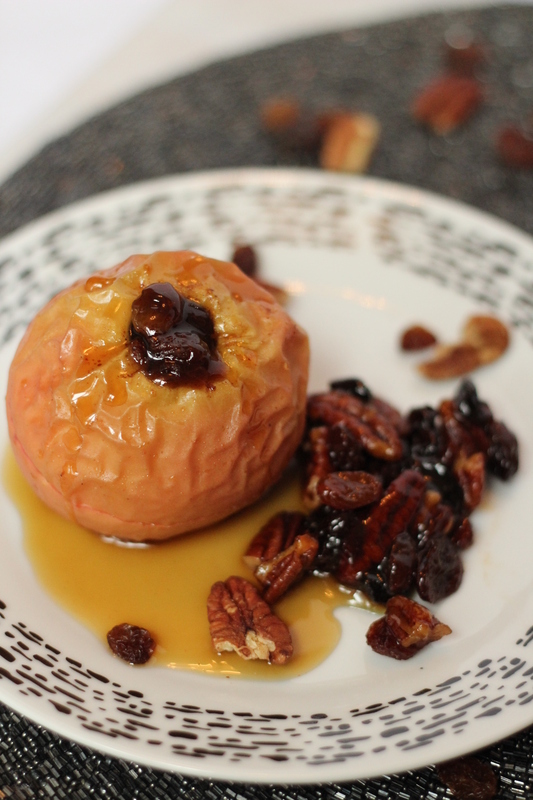 But you could make these at any time of year, with anything you have in the cupboards really! Vanilla works well with walnuts and cranberries; or use pistachios and raisins. Really anything goes! 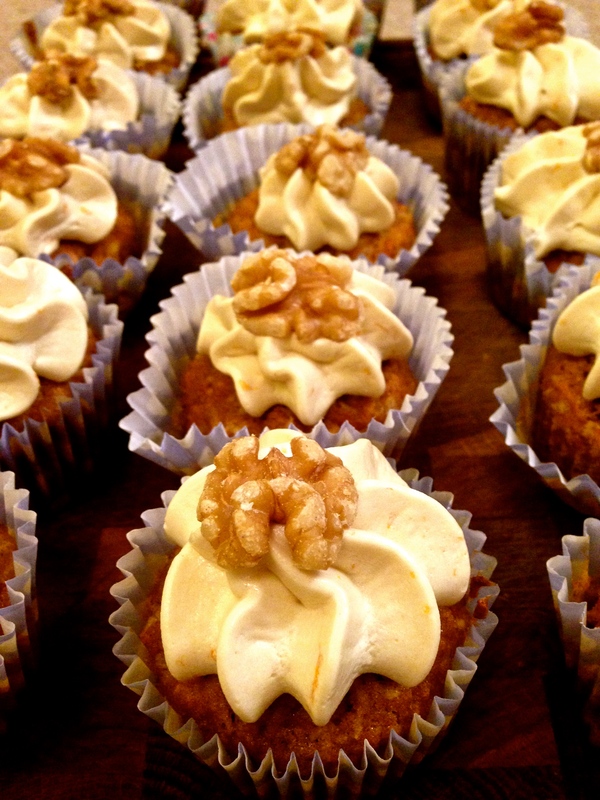 Carrot cake is the marmite of cakes – people either love it or they hate it. 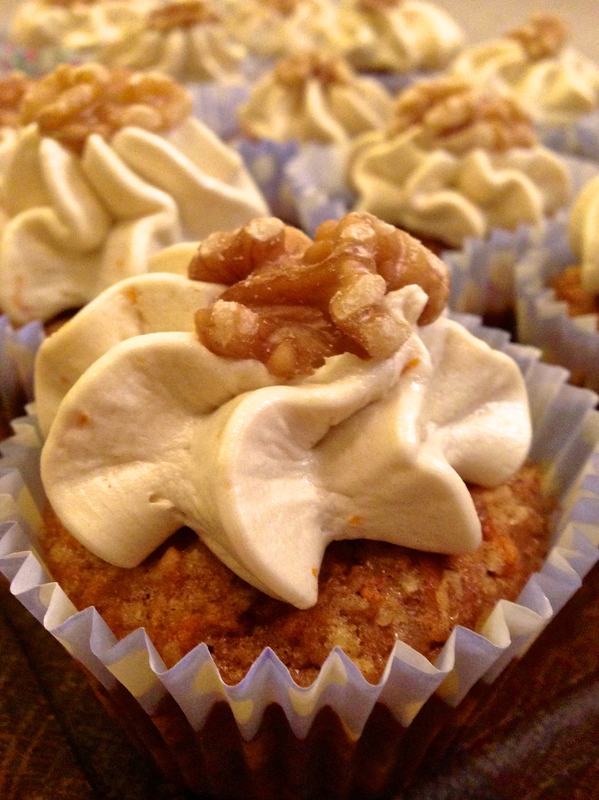 I’m a strange one, a carrot cake convert we might say. I never used to like it (perhaps I thought all carrot cake tasted very carrot-y?) but was 100% converted by this recipe. It is now one of my go-to’s if I fancy making a quick cake. Even better, I think I’ve really cracked making a cake gluten, wheat and dairy free without people being able to tell. I can boldly say this as I did quite a few taste tests on people at work and no one could tell the difference. I have a colleague who is unable to eat gluten or wheat, so often I’ve been put off bringing my baking to work knowing how it feels to be the one missing out. However, I thought this would be a great recipe to attempt switching the flour for an alternative because, as far as cakes go, carrot cakes have a relatively low amount of flour in them as they are also held together by the carrot. I used Doves Farm’s gluten and wheat free self raising flour and I have to say I was pleased and amazed at the results. I will definitely be making them again and trying some different cake recipes with the flour. This carrot cake has an interesting mix of ingredients, but do give it a try as they work perfectly together. The sultanas are bursts of sweetness throughout the cake, a good contrast to the crunch of the walnuts; and the coconut, cinnamon and nutmeg compliment the sweet carrot flavour to make the cake very aromatic. Breakfast – The most important meal of the day. And lets be honest, sometimes it can become the most boring one, especially on a week day. I’ve never been a cereal or porridge fan, so often I resort to toast with peanut butter… a worthy breakfast but sometimes I do fancy a change! 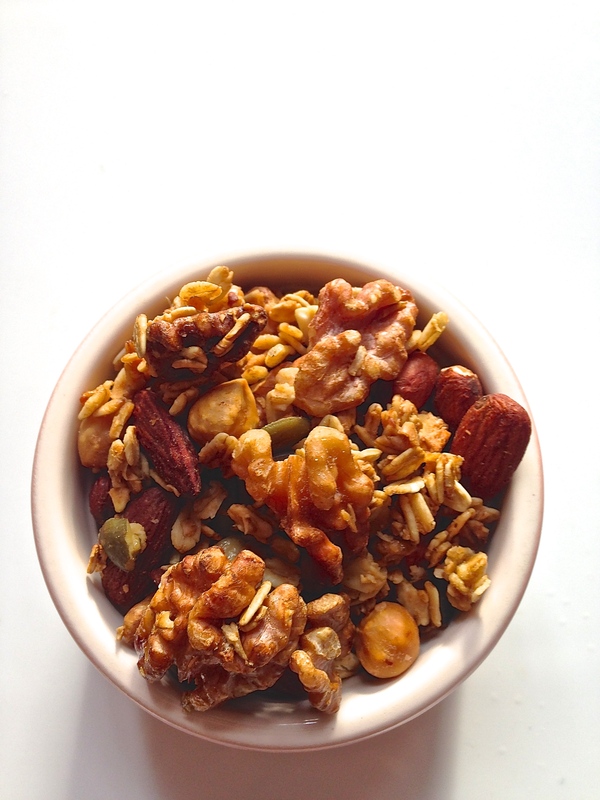 So along comes granola… a crunchy mix of your favourite nuts, seeds and oats, packed full of fibre and protein – what’s not to like? Well…nothing! Now, you could go out and buy one of the many branded versions around. But I want to convince you to make your own, and believe me, once you do you won’t ever want to settle for the shop bought stuff again. It takes less than 10 minutes to make 10 breakfast worths (I’m not kidding – If I was concentrating I think I could do it in under 5 – theres a challenge for you to beat!). Even better, you can easily do this one weekend and it lasts for weeks. You can personalise it. Don’t like almonds? Don’t add them! Want more sweetness but don’t like raisins? No problem, add cranberries! More than that you really can use whatever you’ve got in the cupboard – and equally skip or substitute for what you do have! It is healthier. Its scary when you start reading the packets and realise how much sugar is added to shop bought stuff. Now, as someone who writes a baking blog I can’t profess to be counting every teaspoon of sugar I consume, but I do try not to add more than needed. For breakfast I want to eat something wholesome, not something that’s going to make me hungry an hour later. It is so versatile. My favourite way to eat granola is with a heaped tablespoon of coconut yoghurt and some fruit – but why not eat it with almond milk, or make some breakfast muffins and add some granola before baking for a crunchy topping? The uses are endless! 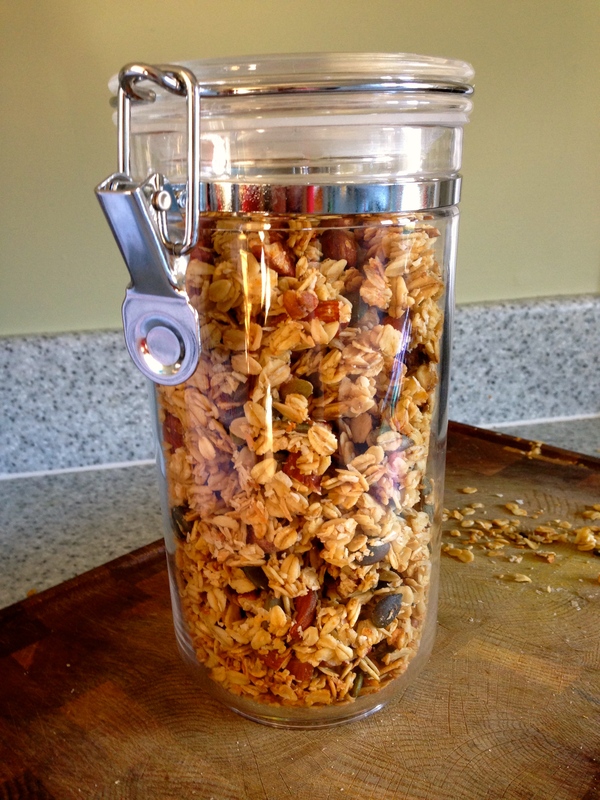 So – heres a toast to the wonderful granola. I hope it inspires you to give it a try.